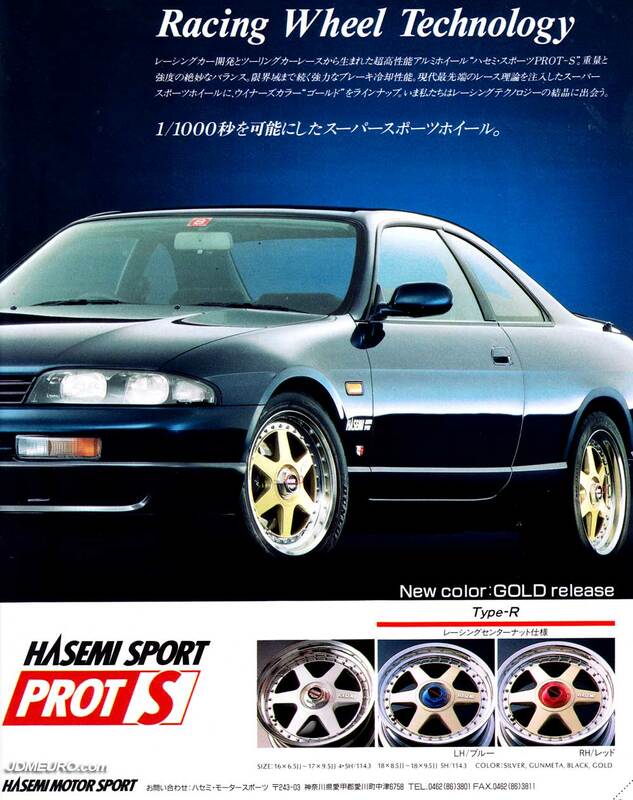 The Hasemi Sport Prot S Type R are JDM Wheels manufactured for the Nissan Tuner by SSR Wheels. The Hasemi Sport Prot S Type R feature a six spoke face bolted on to the two piece wheel have a faux centerlock center cap system with an optional Blue Red Left Hand Right Hand option. The The Hasemi Sport Prot S Type R were available in silver ot gold and in sizes 16×6.5 up to 18×9.5. Pictured are the The Hasemi Sport Prot S Type R on a R33 Nissan Skyline.